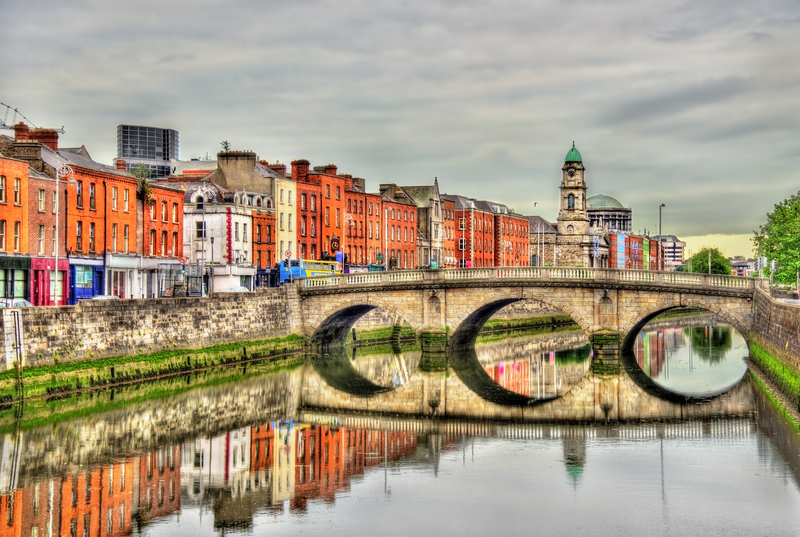 Former Otago student Sarah Vilela da Silva explores her new home in Dublin and shares her top tips on how the young at heart can enjoy the Irish capital. Ireland is known for its Guinness and it always goes down well, but if you're feeling like something a little less hearty try one of the most popular drinks ordered, a Jameson with ginger ale and lime (my personal favourite). Enjoy your drink at Bar Rua, just off Grafton St, in central Dublin, where there is often live music. If you want a more lively crowd, try 37 on Dawson St, where the music is louder and the bigger crowd includes a life-sized plastic bedazzled horse. The Trinity College Campanile bell tower. Iveagh Gardens is an amazing garden in North Dublin, with easy access from the city centre. It is also a popular venue for shows of all sorts, hosting a comedy festival every year in July, as well as a wide array of music gigs. It's super chill in the garden on the grass but you feel like you're at a super important concert because the shows are so good. I arrived in Dublin roughly two weeks before St Patrick's Day, when the build-up was almost a competition between shops to see who could fit the most decorations in their window. The streets were lined with Irish flag bunting, street vendors came out in swarms selling Irish-themed apparel to tourists and Starbucks had their limited edition "Shamrock shakes" in store. My St Patrick's day was spent working in a cocktail bar in central Dublin doing a trial shift that lasted 11 hours and was a little overwhelming for me, but I tell ya - everyone who wasn't working was having the time of their life. St Patrick's Cathedral is a very different experience. The cathedral that stands today was started in 1220, constructed on the site of an ancient well (which was supposed to have been used by Saint Patrick himself) and replacing an earlier (probably wooden) church. Apart from its breathtaking Gothic architecture, the cathedral also holds a few stories for the historians among you, including the legend that the saying "chancing your arm" originated in the cathedral when Gerald (or Garret) Mor FitzGerald, the 8th Earl of Kildare, cut a hole in a door and stuck his hand through it to shake the hand of James, Earl of Ormond, in an attempt to offer a truce over a family dispute. The hole in the door is still there. Make your way to Ray's Pizza Parlour in Temple Bar, open until 4.30am four days of the week and selling delicious pizza, from your classic Margherita to a goat's cheese and sundried tomato mix. Streetwear styled against the cobblestones in The Temple Bar area. For good food earlier in the day, try the Metro Cafe, on South William St, for its almost 24/7 menus: all-day brunch menu, lunch, pre-theatre, dinner and desserts (as well as drinks). The grilled goat's cheese salad is great. For traditional Irish food pop into The Hairy Lemon, a traditional Irish pub with meals such as beef and Guinness pie, bacon and cabbage, and traditional Irish stew, accompanied on Sundays, Mondays, Tuesdays and Wednesdays by live traditional Irish music! The National Gallery of Ireland is my favourite place in Dublin, showcasing amazing artwork from artists from Ireland and the rest of the world. The gallery is a maze; not a confusing scary one, but the kind where you walk through another door and find another entire wing of amazing art. If you're running low on time just cover the first floor and visit the gift shop. If you need a break after walking around central Dublin, head to the end of Grafton St to find St Stephen's Green, the perfect place for a picnic. Whether you want to people watch or take a wee nap, it's a great escape from the city, ironically still in the centre of Dublin. Lucy's Lounge vintage boutique tempts shoppers in Dublin. Lucy's Lounge is simply everything we vintage fashion lovers need in our lives, hidden in the basement of the only pink building in Temple Bar (you really can't miss it). Here you can find '60s mod dresses straight from a Twiggy photo shoot, '70s flared denim jumpsuits, an ugly '80s Christmas sweater or a '50s sweetheart neckline dress. My other two favourites are the Dublin Vintage Factory and Nine Crows. Nine Crows has more streetwear-themed vintage and also does its own custom revamps, one of the best sellers being Ralph Lauren men's shirts turned into a women's skirt and crop top combo. Nine Crows also has another store in Galway and an online store that ships to New Zealand! The Dublin Vintage Factory is located in an old '50s warehouse and does this wonderful thing selling nearly all of its products by the kilo. When I arrived in Dublin and was sussing out the public transport and getting lost and watching people go by, it was sometimes almost the favourite part of my day. But if you're looking to make your life easy, download the Dublin bus app. It has live time schedules and maps for the lost tourist and was my saviour. To get in from the airport, take the number 16 or 41 bus. For other travelling around Dublin, there is also a tram line that is simple enough to use. The Irish live by their tea: five cups in one sitting isn't unheard of. It's almost a conversation filler too. If there's a slight pause in the conversation: "Cup of tea?". A cup of tea also warms the hands on a cold day, which is often needed over here. With a record dumping of snow this year, I'm sure there was a record consumption of tea to accompany it. A statue of James Joyce in The Temple Bar reminds of Dublin's literary history. Howth is a small coastal village just out of Dublin and prides itself on fresh seafood. You can't go there without sampling it, whether it is a two-person seafood platter at the Brass Monkey, or a portion of fish and chips from the Abbey Tavern. Pass the rest of the day by going for a walk around the peninsula, visiting the National Transport Museum of Ireland, or Howth Castle. It's the perfect getaway from city life to relax and see a little bit of the Irish countryside.